An Electric Chicken Cup – This rare gem may have to be a do-it-yourself, but I bet no one on your list has one! 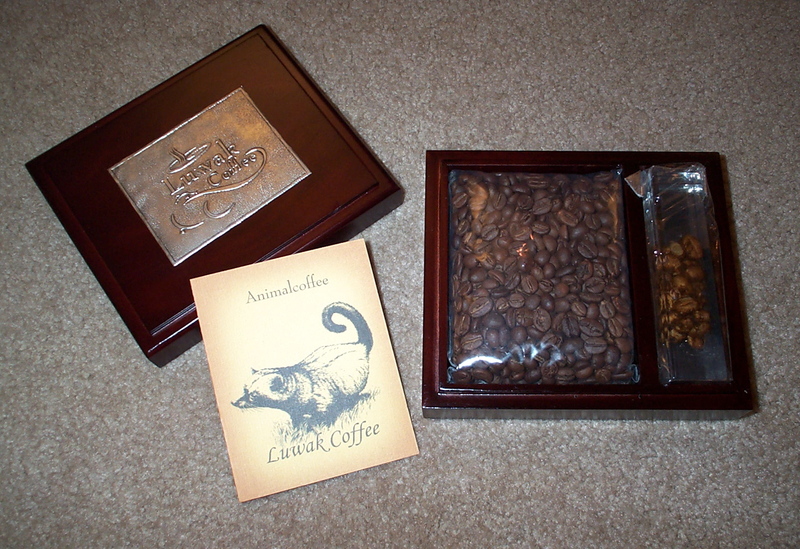 Kopi Luwak Coffee Gift Boxes – Fantastic coffee and a great gift box. Probably the most unique coffee related gift available. AeroPress Coffee Maker – A great coffee and espresso maker. Perfect for small batches and single cups. Check out my review. Easy Linux Commands – Okay, so this is a shameless plug for my book, but since it just came out it’s unlikely anyone on your list already has it. Most of all, have a fun, happy and safe holiday season!